As a young girl, Sen. Charlie Roan survived the annual night of lawlessness that took the lives of her family members. As a presidential candidate, Roan is determined to end the yearly tradition of blood lust once and for all. 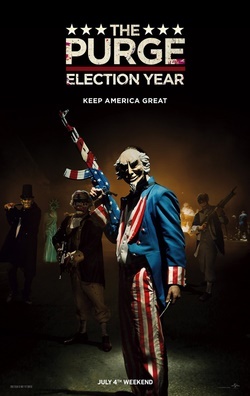 When her opponents hatch a deadly scheme, the senator finds herself trapped on the streets of Washington, D.C., just as the latest Purge gets underway. Now, it's up to Leo Barnes (Frank Grillo), her head of security, to keep her alive during the next 12 hours of mayhem.